Ocean Network Express Pte. 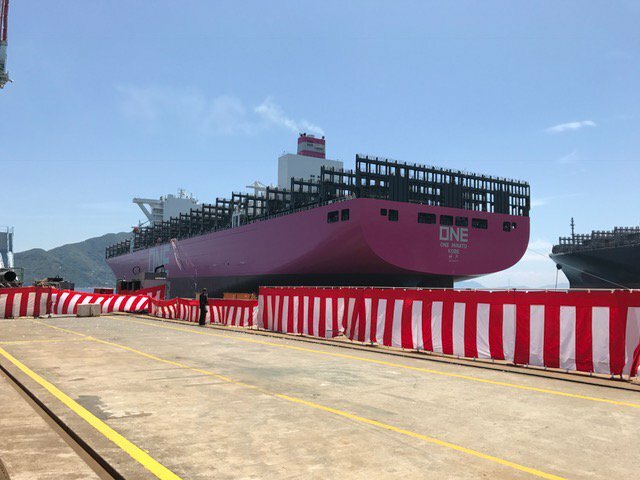 Ltd. (ONE) has announced the delivery of ONE MINATO, a 14,000 TEU-class magenta coloured containership, at Hiroshima Shipyard of Imabari Shipbuilding Co., Ltd, Japan on July 24, 2018. The sublet owner is Kawasaki Kisen Kaisha, Ltd. 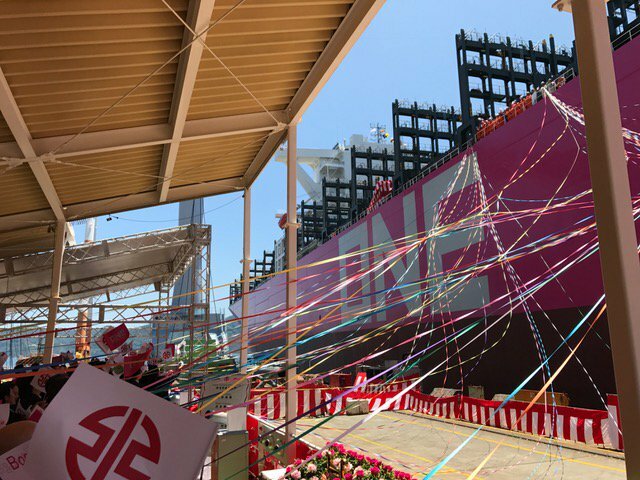 This new ultra-large containership, ONE MINATO, joins our fleet as one of the core vessels. She will be deployed on EC4 – East Coast 4 service (Asia to US East Coast) under THE ALLIANCE, with its port rotation at Kaohsiung, Hong Kong, Yantian, Cai Mep, Singapore, via Suez to New York, Norfolk, Savannah, Charleston, New York, then Singapore via Suez. With the addition of ONE MINATO, ONE provides higher quality and more competitive services for our valued customers.